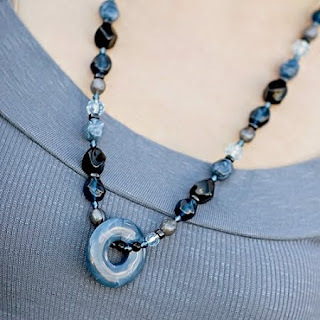 Mommy Necklaces are a unique line of jewelry that was inspired by motherhood. Mommy necklaces are a great way to spruce yourself up! 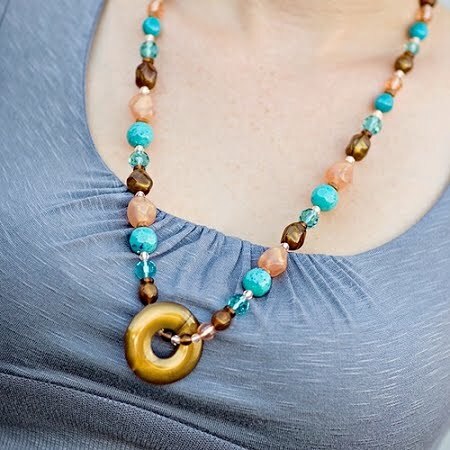 The jewelry is designed to be kid safe and kid friendly so you don't have to worry about your infant pulling at it or your toddler fiddling with it. They are a great distraction to use while nursing your baby. Instead of pulling on your pearls, the baby can play with the safe Mommy Necklace. 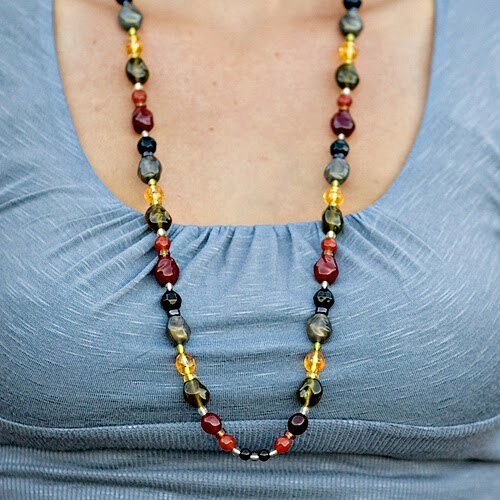 Mommy Necklaces are not your typical line of jewelry.The acrylic beads used are made in the USA and have been tested for lead and phthalates to make sure they are safe. They also have a special breakaway closure as the clasp. They are available in over 30 trendy colored combinations so there is something for every outfit. The necklaces are all beaded by WAHM. I will let some pictures speak for themselves.